You may want to discuss with your students the adaptations that the Joshua Trees shown here demonstrate. Among other adaptations, Joshua Trees have thick succulent leaves to help store water. These plants are excellent at conserving scarce resources and protecting themselves against herbivores, as some Joshua Trees live for more than 300 years. The Mojave Desert is the only place in the world where Joshua Trees (Yucca brevifolia) grow. 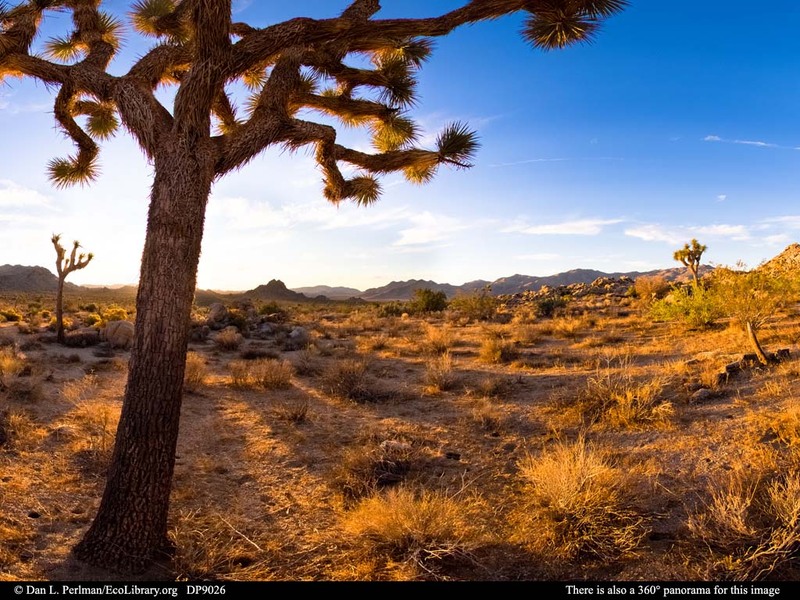 Despite a very dry climate (one site in Joshua Tree National Park averages only 10 cm or 4 in of precipitation per year), these plants may grow to be more than 30 feet (9 m) tall, and may live for more than 300 years.